WordPress powers more than 25% of the web. It’s open source software, driven by community contributions. But it’s also big business, with many companies generating millions of dollars in revenue by offering products and services that cater to people and organizations who use it. 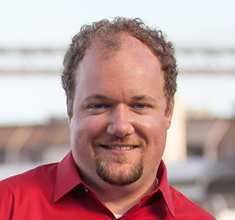 Brad Williams is the CEO and co-founder of WebDevStudios.com. 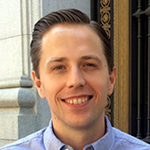 He is the co-host on the DradCast WordPress podcast, and co-author of Professional WordPress and Professional WordPress Plugin Development. Brad has been developing websites for about 20 years, including the last eight where he has focused on open source technologies like WordPress and BuddyPress. 00:16 Patrick O’Keefe: Hello and thank you for listening to Community Signal. Our guest on this episode is Brad Williams. Brad is the CEO and co-founder of WebDevStudios.com, he’s the co-host on the DradCast WordPress podcast, and co-author of Professional WordPress and Professional WordPress Plugin Development, both of which I own, in multiple editions or at least one of those, if not both. And Brad has been developing websites for about 20 years, including the last eight where he has focused on open source technologies like WordPress, and BuddyPress. I met Brad many years ago, like 12, 13, 14 years ago, in the SitePoint Forums. We co-hosted the SitePoint Podcast together for years, that’s where I met Karn Broad, who produces Community Signal, because he was one of the producers on the SitePoint Podcast, which was a great show and we had a lot of fun. Brad is one of my oldest friends, and it’s great to have him on the show. On a programming related note, for the first time, I’m not at my home studio, I’m actually recording in Brad’s house, in his home office, face-to-face. I actually have to look at him as I’m recording. So it’s pretty fun. Brad, welcome to the show. 01:18 Brad Williams: Thanks for having me man, this is awesome, it’s like we’re getting the band back together. 01:21 Patrick O’Keefe: Yeah, I mean it’s fun, you’ve had me on DradCast a couple of times. My joke was always that I don’t want anyone to be on more than two times than me. So in other words, I’ve been on twice, so hopefully no one should be on four times, before I’m on a third. 01:32 Brad Williams: I think we’re gonna have to get you back on because there might be some hosts teetering that line. 01:35 Patrick O’Keefe: Yeah, it’s tough because I appreciate you having me on, because I’m not really a WordPress guy. So it’s like your audience has to tolerate me for like a week. 01:43 Brad Williams: But there’s a lot of overlaps man, we’re talking communities. So WordPress, open source communities, you talk in specializing communities. So even though it’s not maybe WordPress specific, there are certainly a lot of overlaps there, which I have a feeling we’re gonna talk about today. 01:56 Patrick O’Keefe: Yeah, well, I like to bring in different types of guests. So a lot of our guests are community professionals, but I also like to mix in other people who I feel have experience or knowledge that applies very well to what community professionals do or at least what we can learn from. So in your case, you build business in the WordPress/open source community, which it’s a different ball game than say, a traditional business. And I like to refer to WebDevStudios as the pre-eminent WordPress-focused development company. 02:22 Brad Williams: I like when you refer to us like that. 02:24 Patrick O’Keefe: And while I might joke a little bit and laugh about that, you are definitely among the premier WordPress development agencies, and you only do WordPress, you don’t do any other work. If someone comes and asks you to do something else, whether that be, Drupal or anything, name a software, name something else, you won’t do it. WordPress is your whole business right now and WordPress is an open source project with an amazing, robust community. With that brings some interesting expectations, I think, for a business. So how is building a business around the development of an open source technology with a strong sense of community different from building a more generic business? 03:00 Brad Williams: Yeah, it’s a good question, and it certainly is different and if you’ve ever contributed or been apart of an open source project, you may be familiar. Maybe, maybe not, I guess depending on the level there. But it is different because an open source project and the community around it, the project only works if there is a community and if there are people contributing back to that project, whatever it is, WordPress, Linux, whatever type of open source software we’re looking at here. So if people aren’t contributing back, there is no project, therefore there’s no community, there’s nothing to kind of gather around. 03:29 Patrick O’Keefe: There’s no business. 03:29 Brad Williams: Exactly. So building a business around an open source platform, one, I think there’s a level of expectation that the company should contribute back because you are essentially making money off, generally speaking, a freely available, open source project. 03:45 Patrick O’Keefe: And that a lot of people contribute to, it’s a lot of people. 03:48 Brad Williams: Exactly, and there’s some businesses out there that certainly profit, I’m sure there’s plenty of them that profit off of WordPress that don’t contribute back in any way at all. I’m very thankful for the fact that I get to do what I love everyday, and I’ve built a business around it, I get to hire people that also get to do what they love everyday and grow a business and build some really amazing things in WordPress, really push the envelope. And because of that, I’ve always felt that it is our responsibility to give back. I don’t wanna ever lose sight of why we’re here, how we got here. The fact that the project and how popular WordPress is and how it’s grown over the years has helped our company grow as well. When we switched to doing WordPress full-time back in 2010, and at the time it was a bit of a gamble on our part, because we still had a lot of contacts coming in for other platforms, you mentioned Drupal. And we were definitely more on the open source side of the house, but we were doing anything open source, so Drupal, Joomla, Magento, ZenCart, you name it, if it was open source, we would touch it. 04:44 Brad Williams: So when we made that switch, we were turning away a lot of work, which is always a bit of a scary thing to do, but it worked. And luckily WordPress kept growing and we kept growing with it. So with the success of WordPress in the community, our company kind of grew in parallel. And because of that, we like to contribute back as much as we can. We like to bring people into the company that already have that open source contributing mentality when they come in, whether it be running a local meet-up, whether it be actually contributing code, whether it be volunteering at a WordCamp or whatever. There’s a lot of ways to contribute, but we are all about that. We wanna be a part of the community, we’ve been a part of the community since we’ve started and it’s a big part of our business and our culture. 05:36 Brad Williams: That’s awkward. 05:36 Patrick O’Keefe: And it’s like they fire the person, it’s very, very awkward. 05:39 Brad Williams: Great talk. 05:39 Patrick O’Keefe: Yeah, awful, I mean awful timing, like you can’t put it off? But what do you think WordPress does, ’cause there’s WordPress the project, there’s Automattic, the company that runs WordPress.com and all these WordPress related services. Is there anything WordPress does really well, as an organization, as an effort that really caters to developer relations, that allows the project to build really good relationships with developers like yourself who contribute code, contribute plugins, and also are paid to develop the software? 06:07 Brad Williams: I think so. Over the years, the idea of how WordPress is developed, and how decisions are made and what direction it goes and how developers outside of WordPress can interact with it, they’ve really worked to open that up and try to put together either websites or tools to make it more accessible for people to get involved in those conversations. I’m not necessarily saying they’re going to make the decisions, or they have to be the ones writing the code, but to be a part of it, if they wanna be a part of it. There’s a site called make.wordpress.org which has different sections within the site that are all about contributing to different parts of WordPress. Whether it be the core software at WordPress, whether it be events around WordPress, whether it be accessibility, things like that. And they’ve kind of opened that door and made it easier to get involved and with that I think has helped around those relationships, around developers. They’re very transparent now, and I’m not saying they weren’t transparent before. But if you didn’t know the places to go to find the information, some of it was hard to find. 07:02 Brad Williams: Now, it’s much easier to get to. So there’s a lot of roadmaps being produced, a lot of, “Hey, these are our thoughts. Anyone wanna chime in or give us your opinions or thoughts on this new feature we’re gonna build and how we wanna build it?” And it’s a lot more conversation, a lot of posts going out in the make blog, where I think they’re very interesting, and spark some of these conversations. Sometimes, maybe everyone’s like, “Great, awesome idea.” Sometimes there might be a little bit of, “I don’t agree with that, there’s some controversy.” But the fact that it’s out there and being transparent is super helpful. Whether you’re a developer or really interacting with WordPress at all because the information is much easier to find than it was even just a few years ago. 07:36 Patrick O’Keefe: Yeah, I think we both, as I said at the start of the show, we met in the SitePoint Forums, developer community. Developers aren’t necessarily always the most personable people, I wanna say. Sometimes they’re the back of the house, people working on the code. When there are those disagreements, when there are things that people don’t agree on as far as where the software should go. Speaking of that transparency, do you feel like they’re doing a good job in how those matters are resolved, and how those decisions are made in communicating that? How do they go about resolving those disputes? 08:04 Brad Williams: Generally speaking, yes, I think they do a good job. There’s been occasions… There’s been plenty of things that I’ve disagreed with that they’ve… Either a feature they’ve prioritized as a really important feature and I’m like, “Oh I don’t know.” Prioritizing things that maybe weren’t as critical as they needed to be. But I think just like any disagreement, as long as it’s a respectful discussion, it works. It’s when things start going into a disrespectful place; name-calling. And like stick to the topic, argue your point, but it doesn’t mean you have to get nasty, or personal about it. It does happen. People get heated. People, especially if you’re extremely passionate about something and somebody disagrees with you, it could be easy to go into that area. But generally speaking, I feel like the discussions stay respectful, people voice their opinions whether they agree or not. I think the beautiful thing about open source is if you have strong opinions, if you really feel strongly about something, get involved, get in there and argue for that. Explain why that is the case and why it makes sense, because that’s how things get done. You know what I mean? A lot of times there’s something that yeah, a lot of people want. But if nobody really leads the charge, it will just sit there and maybe it won’t get done. 09:14 Brad Williams: So you have the ability even as one person to help affect, in this case, software that runs over 25% of the Internet which is pretty staggering. There’s definitely times where things have gotten well beyond, really bad. [chuckle] You know what I mean? We’ve all seen that whether in a software development community or not, we’ve seen it. And generally speaking, they’re quick to squash that or if people need to be removed, they get booted and try and to get rid of the distractions, I think is a good way to say it, so you can stay on topic. ‘Cause at the end of the day, we all just wanna make WordPress better. We wanna make it more accessible for people. We just wanna make it better and help keep it growing. So I think as long as everybody keeps that in mind, then it usually stays pretty good. 09:55 Patrick O’Keefe: I know from my 11 plus years in the phpBB community, that open source projects can have a lot of politics and drama. 10:02 Brad Williams: A little bit. 10:03 Patrick O’Keefe: And various people in the WordPress community have used that #dramapress hashtag. I think I’ve seen you use it. 10:10 Brad Williams: Oh, yeah. I’ve used it. 10:10 Patrick O’Keefe: Jokingly or otherwise. Is there drama between the companies that exists in the WordPress space, like companies that also can have their work in this open source community. Is there a lot of drama there? Does that sort of thing crop up from time to time? 10:22 Brad Williams: Maybe from time to time. I would say there’s certainly less drama between competitors in this space than I’ve seen in other spaces I’ve been in, certainly. And I think a lot of it is kind of that open source mentality of we’re all trying to make this software better and help each other, and by working together, we can all benefit from it. I’m good friends with all of the other agency owners that are in our space, that are very similar to our company and what we do. Whether bigger than us, smaller than us, same size, whatever, we all just… We know each other, we go to conferences together, we hang out together, we’re at after parties, we speak, whatever. We talk offline, we ping each other about things to get advice. So we’re very friendly behind the scenes and in public. That’s different than other industries I’ve been in, where it’s more cutthroat, where it’s more like trash-talking about your competitors. It’s less about that and more about, “Look, I’m not gonna tell you why they’re bad, I’m gonna tell you why we’re good.” You know what I mean? 11:44 Brad Williams: Now, I think as the industry has grown, there has been more of the companies maybe clashing a little bit, because it’s getting bigger. Just a couple years ago, WordPress still wasn’t quite in the enterprise space, projects were smaller. It is definitely in the enterprise space now, just about everybody, every company out there is… If they’re not using WordPress, they’re taking a hard look at it. We do a lot of work with Microsoft. Who knew Microsoft would love WordPress? They love it. They’re launching sites left and right on WordPress, which they’re a massive software company. They’ve been around forever and they’re using WordPress, so it’s helping validate that in that larger space. So yeah, as it gets bigger, there’s more money involved, there’s always gonna be a little bit more of that creeping in. But by and large, I just haven’t seen it like I have in other communities and I hope it stays that way. I’m all about just building cool stuff with WordPress, giving back, helping the project. And I’d like to think, and what I’ve seen, other companies are as well. And I hope it stays that way ’cause I don’t wanna go into where it’s really kind of bashing each other and again, taking that more personal, nasty route. 12:43 Patrick O’Keefe: Right. You mentioned how there will be disagreement and that’s healthy and natural. What do you think is the difference between, as a community member, as someone who’s just in the community, contributing to WordPress, participating in discussions about WordPress and going to WordCamps, what’s the difference between a meaningful, necessary discussion where people disagree and drama? What’s the difference between drama and just people disagreeing, and then people, I guess, being more destructive and dramatic? What’s the difference? 13:10 Brad Williams: In WordPress, where I’ve seen a lot of drama, it’s where decisions have been less transparent and that will immediately spark drama because you’re immediately like, “Wait a minute, that seems kinda shady.” There was no discussion, all of a sudden something’s happening, something’s been approved and is happening, it’s like, “Well, where did the discussion take place?” You know what I mean? When there’s less transparency especially around open source, immediately red flags go off with a lot of people and they’re gonna kinda be on the attack because it just looks shady. Whether that was the intention or not. 13:45 Brad Williams: And it may not always be that, maybe it is? But a lot of times that will fuel some drama because it, again, is supposed to be a transparent open source community, things are supposed to be discussed, come to a group decision and move forward, but it’s obviously challenging too. There’s hundreds and thousands of people that work on WordPress. So trying to get hundreds and thousands of people to agree on something is next to impossible. There’s always gonna be at least one person that disagrees or has an alternate opinion. So sometimes you do have to make those decisions and I get it, I understand that. But I’ve noticed that a lot where it’s the less transparent, the more likely there is for some drama to start blowing up. Maybe unnecessarily, maybe not, around it. 14:22 Patrick O’Keefe: Yeah, that’s a great point. And I think it’s something that certainly I think about as I make decisions, and especially with my staff when I work with a difficult member when we’re talking about something, when maybe someone who’s an active contributor has started to become not so great of a member, that I’ll share exactly what’s happening. They know the conversations I’m having, what I’m saying, what they’re saying, so that if it comes to the point where I have to take some sort of action against that member, there’s no surprise. 14:44 Brad Williams: Yeah, they know why. 14:45 Patrick O’Keefe: Yeah, they know exactly what’s happening. So I think it, just filling in those blanks. Over-communication is what I call it. I believe in over-communication where everyone around me, friends, family, business people, when it comes to matters that impact them, they know how I feel. I don’t want them to have to wonder like, “What does Patrick think on this?” or “Is Patrick gonna come through?” Or if we’re working on a task together, I’m gonna do A, B, C. Those are my things. I won’t be doing this or this. A, B, C is me and you can trust me to get it done, but don’t think I’m gonna do F, G, and H. I’m gonna tell you now, I’m not. Just having that clarity, I think goes a long way. 15:16 Brad Williams: Yeah. And honestly it transcends into the client world, too. It’s over-communication, we preach that within our company. Over-communicate, make sure those expectations are set because there’s nothing worse than having misaligned expectations. Especially when it’s a project where you’re dealing with money. Because as soon as you have misaligned expectations, it’s gonna end not great. There’s gonna eventually be a hard conversation that has to be had. So that is a great approach and it transcends in a lot of different areas, you know what I mean? 15:43 Patrick O’Keefe: Yeah. WordPress is a piece of software and an ecosystem that is powered by community contributions from the development of the software itself to the creation of plugins to providing support in the forums and more tasks. For a company whose revenue comes from the existence of WordPress, is there a pressure to contribute to the project or else you’re seen as a moocher? Is that a thing? Do people talk in the space about, “These companies don’t contribute anything, they’re just taking advantage of WordPress”? Do they get a reputation? And so is there a pressure to give back? 16:11 Brad Williams: I think there probably is maybe an unspoken pressure because we talked about a little bit earlier of, you’re making money off an open source project that people spent a lot of time on. And if you’re not giving back in some way, that is certainly going to by default, look like you’re just mooching off of it. Now, is it publicly called out, publicly blasted? Maybe not, unless they’re really anti-contributing and vocal about it for some odd reason. We take it very seriously in our company. We’re part of an initiative called Five for the Future, something Matt Mullenweg put out. And he essentially said his request to the community was if you can dedicate 5% of your time to contributing back to WordPress, it would really help the project move along, it would help enormously across the board. And so we do that at our company. We contribute 5%, which doesn’t sound like a lot, but it actually adds up. So every Monday morning for two hours, our entire company contributes to WordPress. And two hours per person doesn’t sound like a lot, but that’s 60 hours a week that we’re contributing. 17:10 Patrick O’Keefe: That you have what, 30, 34 people you have now or something? 17:12 Brad Williams: Yeah. So we’re essentially a person and a half. 17:15 Patrick O’Keefe: Yeah, 68 hours is a whole week. That’s like one person. 17:17 Brad Williams: Contributing for a week. 17:18 Patrick O’Keefe: That’s not just a week. 40-hour week is a normal week, so that’s someone working a lot of hours for a week. 17:22 Brad Williams: Yeah, yeah, a body and a half. So that’s a significant amount of time. 17:27 Patrick O’Keefe: And you’re paying those employees. 17:28 Brad Williams: We’re paying them. 17:29 Patrick O’Keefe: This is coming out of your money, WebDevStudios, you pay these 34 people that do two hours a week, whatever that is, whether it’s the CEO like you, or someone who’s just starting and just does client support or something. 17:39 Brad Williams: Across the board. We have our project managers contributing. So one thing that people maybe misunderstand whenever you say contributing to WordPress, they think coding. They think writing code and that’s not the case. So writing code is certainly one way to contribute. We mentioned organizing meet-ups, volunteering at meet-ups, WordCamps, support forums is a great place. We met on SitePoint. And that is when I was really first starting to get into more powerful database-driven web programming, developing. And that’s essentially where I learned how to program, interact with databases using classic ASP, and it was all through the forum, basically asking questions and reading other people’s questions and answers. And it eventually went from me asking questions to me helping more. Support forums is a great place because you might start out just asking questions, but eventually, you’re gonna start seeing some questions you can answer. And over time at some point, it’s gonna flip to where you’re answering and helping more people than you are asking. 18:33 Brad Williams: So we have a lot of people on our team that just dive in the support forums. We’ve had our project managers contribute to actually code. They worked with our developers and pair program and help do a little bit of basic coding, but our project managers have contributed code. So there’s so many different ways you can contribute to WordPress, and we let our team decide. They pick what they’re passionate about. “What are you passionate about? How do you wanna contribute?” And as long as it’s something that is related to WordPress and the community, it’s allowed. 18:58 Brad Williams: So they have that two hours every week that they can spend on us. We’ve released many free plugins out there from time that was contributed for Five for the Future, so it’s a really great initiative. If you’re one person, if you’re a company of 50 people, I mean, it can have a big impact either way. I think it’s a really cool thing to do, it’s a really nice official way that we can contribute back across the company. We track a lot of the stuff that we’re doing so we can talk about it publicly and show people some of the cool stuff we’re releasing. There’s a lot of other companies doing it, a lot of freelancers, and individuals doing it as well, and it’s just been a really, really interesting way. I think we’re actually gonna compile some stats, ’cause we’ve been doing it for over a year now, I believe. So we have a few thousand hours we’ve contributed, so I wanna start compiling some stats, and just kinda put that out there cause I think it’s neat to see that amount of time that we’ve put in and talk about that, ’cause I’m really proud of it. I know our company is too. 19:49 Patrick O’Keefe: Yeah, so there’s not just coding, it’s not just committing to core, which for those who wouldn’t know is like there’s a core WordPress product that when you download and install, you commit to that, you commit code, you commit to core. You’ve been a core-committer many times. It’s sort of a badge of honor. In the community to be a core-committer, to have contributed to the main product that 25% of the web uses. 20:06 Brad Williams: Yeah, even if you have one character of code, you can say, “I have one bit of code, and yeah, a software that tens of millions, maybe hundreds of millions of people use,” which is a pretty cool thing to say. 20:16 Patrick O’Keefe: Yeah, but like I said, it’s not just code. Like posting in the support forums. When we did phpBBhacks.com Support Forums, one of the things I tried to get across to people was to be a part of the support team, you don’t have to be an expert. You don’t have to understand the intricacies of the coding at phpBB. But if you know things that other people don’t know, then you can help them. And that could be as simple as, “How do I change the color of the text in the forum description?” I mean, people don’t know how to do that, but you do, and that may seem like the most basic thing in the world. With WordPress, it’s like, “How do I change the post slug?” I’m sure that question comes up a lot, like, “How do I change what the end of the URL looks like?” “How do I change the logo on the 2015 or 2016 theme?” Or whatever. Most basic things that might just be in a section of the admin panel, they can’t find, they don’t know where it is. And those basic questions, you don’t need to get to a high-level tech. The developer, the lead dev on WordPress doesn’t need to answer those questions. 21:04 Patrick O’Keefe: Someone who is at a WordPress company like WebDevStudios who just does project management or client support probably knows the answer to those questions just from dealing with the clients and can really dive in and help people with the basic stuff, and that has real value. Because in a large support forum, no matter how good your information architecture is, no matter how good you are about pushing people toward information that already exists, you’re gonna get people who are asking those same questions and they want an answer, and they want an answer that’s not like, “Go search. Go to Google. Let me Google that for you.” Because that’s how you drive people away. So having those people in the forums who kindly quickly answer a question is real powerful to a project like this. 21:38 Brad Williams: Yeah, it is. I’m sure that the majority of support threads on WordPress.org are not developer-centric, they’re users. The majority of people that use WordPress do not write code. They’re writers, bloggers, whatever it may be, they’re using the software. They’re not writing the code for the software or building plugins, that’s a very small percentage of WordPress users. So yeah, the majority of the support issues are just that, questions that you might know. “How do I schedule a post?” “How do I change this slug?” “How do I restore something I’ve deleted?” “How do I use WordPress,” questions that you can definitely contribute to and it’s a great way to help out for sure. 22:13 Patrick O’Keefe: Yeah, and there’s also, you’ve mentioned events like organizing local events, documentation I would have to think. Doesn’t WordPress.org have a Wiki where it has that, “I’ve been on there before,” the Codex, all that stuff needs to be maintained and updated. 22:24 Brad Williams: Documentation. It’s a thankless job. 22:26 Patrick O’Keefe: And there’s a lot of stuff. Yeah, it’s a thankless job, but someone needs to do it. 22:29 Brad Williams: It’s a necessity, absolutely. 22:31 Patrick O’Keefe: So as you develop things for clients, like you develop custom plugins for clients, and features they need. Do you often release those back to the community for free? 22:38 Brad Williams: We have, in the past, where it makes sense. As our projects have gotten larger, a lot of the builds that we’re doing are extremely specific, extremely custom. However, if we are building a feature, we wanna make things modular, we build things the WordPress way. So a lot of the features we build for clients, we do build as plugins. I mean a lot of the clients we worked with have more than one WordPress site. So if we build a nice feature for them and a nice plugin, they can use that on their other WordPress sites, so it makes it modular for them too. But when it makes sense, we absolutely do. We have a number of plugins on GitHub. If it makes sense, we’ll release the plugins over on WordPress.org, so it’s a little easier for people to find and update. But we have a number of plugins that we built for clients, and have released, and we generally will have a conversation with the clients and say, “Look, this is a really interesting plugin. We would like to, with your permission… ” We’ll give them credit or props that they essentially funded it. “With your permission we’d like to include some documentation and go a little bit above and beyond here, and release it.” Because writing something for a client and releasing it, there’s a gap you have to fill with documentation, and installation, screenshots, and all that stuff. 24:04 Patrick O’Keefe: And they don’t have to pay you more to do that. 24:06 Brad Williams: Exactly, exactly. 24:06 Patrick O’Keefe: It’s now a thing that you have to maintain. 24:08 Brad Williams: Exactly, so it’s a very win-win in my mind where it makes sense. Like I said, a lot of the stuff we’re doing nowadays are very, very custom and very specific. So I’m not gonna release something that maybe one other person in the entire world would ever consider using. It’s not worth it. I wanna put things out there that people would use. But yeah, that’s absolutely something we do, absolutely something we’re always looking for as we’re scoping out these projects and starting to build them. 24:29 Patrick O’Keefe: I have to imagine some clients are more willing to do that than others. You have a client list on your website. You have Campbell’s, Uber. You also have a client like Microsoft who has made efforts, I guess, to improve how they’re viewed in the open source community over the last several years. So if you do something for a client like that, they may be more willing to say… If they understand it. They get it, what open source is and they wanna be seen in a good light. Where you have more of a traditional brand, Fortune 500-type brand, who may not be used to that idea at all, even the idea of open source. So I have to believe that some clients are definitely more willing and more interested in allowing you to do that. Even though there might be no harm, they just don’t get it. 25:03 Brad Williams: Yeah, that’s true. Obviously, Microsoft is a big tech giant, big history of software, much more open to open source in recent years, especially with the new CEO coming in. 25:33 Patrick O’Keefe: Kinda stinks. 25:33 Brad Williams: Yeah, it does. It stinks. And we’ll do it sometimes, most of the time we’ll do it, but it’s like… We have a conversation ’cause it’s… Whether we’re releasing code or not’s one thing, but we still would like to say, “Hey, look at this cool stuff we built.” But yeah, there’s been cases where we’ve had that conversation, maybe they’re like, “Yeah, we’re not really comfortable with that.” Or whatever. Okay. Honestly, it’s few and far between because people that find us now know they want WordPress. They’ve already generally made that decision. It’s more about just whether we fit with what their project and their team, and if they’re wanting to engage us on a project. So less selling on the open source side and more of just specifics of the project. But yeah, I think you’re always gonna come across that. Some people just… Maybe they don’t get it. Maybe they don’t understand. Maybe they don’t care and they’re just worried about, “Nope. Can’t go public, period. Can’t talk about us, can’t release code.” It’s like, “Okay.” Well, it is what it is. That’s why we talk about it up front to make sure we’re all clear from the start what’s going on here. 26:25 Patrick O’Keefe: There are a lot of companies offering products and services targeted at WordPress. It’s one thing to say that companies should generally contribute to the community. But at the higher end, as one of the more widely recognized companies in WordPress, are there unique challenges that you face as far as what the company expects of you? There are several companies who are just really well visible in WordPress as a whole, like WebDevStudios, or you mentioned competing agencies or a WooCommerce product or anything like that that’s really visible. Does the community expect more of you, do you think, or is that not a thing? 26:58 Patrick O’Keefe: To set a standard. To set a good example. 27:00 Brad Williams: To set a standard. They expect a certain standard and I like that because I expect a certain standard from us as well and we’ve set that standard and over the time through our reputation of not only the clients we’re working with but the code we’re releasing. So certainly they look at what we… The community watches things like our company and other companies are doing. They’re looking at what we’re releasing. They’re scrutinizing it. Why not? They should. So they hold us to a high standard and I think that’s absolutely fair, and I want us to be held to that high standard because, like I said, when we release code, it has our name on it. It can be a little intimidating when you first get out into the idea of releasing code. I can remember back even getting in the forums early on, pasting my code into a message, like, “I don’t know what I’m doing here.” And eventually you just have to get over that and be like, “You know what? We’re putting it out there.” We’ve released stuff that there was bugs. Okay, there’s bugs. We’ll fix them. That’s the world we live in. There’s gonna be bugs. There’s gonna be things that need to be updated. But that is open source is getting your stuff out there, sharing. 28:01 Brad Williams: And I think that’s how I got into open source. I didn’t really know at the time. But early on, even at SitePoint, I just like learning and sharing. There’s a good feeling when you can help somebody, whether it be helping them with their code or giving them some code that they can use, that solves a problem. There’s a really good feeling around that and I’ve always really enjoyed that. And once I started getting the open source, I realized that’s exactly what open source is. It’s all about contributing back and helping each other, and that really fit ’cause I’ve always been like that. So sure, they hold us to a higher standard and they absolutely should. 28:38 Brad Williams: Old school. 28:39 Patrick O’Keefe: You and Brian and now it’s 34 people. So you have this reputation, and you talk about being held to a high standard and you’ve released countless plugins and done all this work and WordCamps and WordCamp US, and just a huge reputation. So you’ve built up this level of trust. Is it really easy to lose that trust? In the community, are you a misstep away from the community just not trusting you after those years of effort? 29:02 Brad Williams: I think it is. I think it does take a while to build up trust and it’s very quick to lose it. I think whether it’s in business or open source or just personal relationships, you know what I mean? One misstep, one serious misstep can really affect your reputation, and whether that lingers, or sticks with people… It might always be in the back of their mind, though. “Remember that time WebDev did X?” You know what I mean? Sometimes it can be hard to shed that stuff. So I think it can if it’s severe enough. And that’s why, obviously, we’re strategic and careful with what we do. I don’t wanna release something that could potentially bring down thousands or millions of websites. I wanna make sure what we build and release is solid and people enjoy it. And I wanna make sure what we’re doing makes sense and we’re not maybe teetering the ethical line in certain areas. 29:45 Patrick O’Keefe: That it fits the WordPress ethos. 29:47 Patrick O’Keefe: More or less. 29:47 Brad Williams: It’s just being smart about what you’re doing and making sure you’re doing ethical things. Not really teetering that gray area in certain spots. Everybody is gonna have a few missteps here and there and I think that’s just life in general. But yeah, one serious wrong decision or something could certainly affect the reputation of that. 30:06 Patrick O’Keefe: Do you have a check or something, where certain things, you’re not sure like, “Okay, well, we’re thinking about doing this, but… ” It’s like, viewing it from the community perspective. Do you have something that you think about, whether you’re kicking around, whether you’re Brian, and Lisa, and Dre, or you’re thinking about something, “Well, I don’t know exactly about that.” I mean, is there… There just has to be a serious effort to err on the side of WordPress? And not to caution, but err on the side of WordPress, and make sure that it fits with the ethos, and if it doesn’t, you don’t do it? But is there a process for that that you have, as a company? 30:34 Brad Williams: Yeah, I mean, I can think of a handful of discussions internally around things, where we’ve talked about that. It’s generally not so much should we do it or not, but how should we do it? How would it be perceived? There has been times where, to be perfectly honest, it’s usually more around working with clients, or something like, “Is this a job we wanna do? Is this something that we would even talk about?” You know what I mean? Maybe it’s not necessarily unethical, but an industry we don’t necessarily wanna be associated with. So some of that stuff, probably more so than actually what we release code-wise, or community-wise, or interact that way. But sure, in any industry, you’re gonna have a little bit of that, like, “How is this gonna be perceived? How will people that look up to us think about this? How will the competitors, how will the larger community look at this?” And the last thing we’d wanna do is do anything that could potentially harm that. But I wouldn’t say it’s something that happens often. We’re a pretty laid back company, we do a DradCast. We’re not the most, maybe, PC podcast in the world but we have fun, you know what I mean? So I think that also comes across, too, that you do have to be a little careful. 31:38 Patrick O’Keefe: Brad, thank you for coming on the show, for sharing your experience, and most of all, for having me in your house, and feeding me. 31:43 Brad Williams: Yeah, man, I’m glad you could make it. It’s awesome. Podcasting and face-to-face is different for me too, ’cause I’ve done it a handful of times over the years, but it’s not a common occurrence. So it’s always fun to sit across from the table and actually do a show together. So thanks for coming, man, and gotta get you back on the DradCast soon? 32:00 Patrick O’Keefe: I can’t wait. We have been talking with Brad Williams, the CEO and co-founder of WebDevStudios, at WebDevStudios.com. You can follow him on Twitter @williamsba. 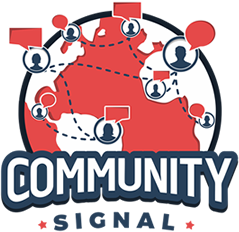 For the transcript from this episode, plus highlights and links that we mentioned, please visit communitysignal.com. Community Signal is produced by Karn Broad. We’ll see you next time.